With his years of experience in the law, and having acted for many clients at Mediation, Terry Johansson is well qualified to act as a Mediator, or he can act as your lawyer at a Mediation. Terry Johansson is the only lawyer in Australia to be recognised as an Accredited Specialist in Wills and Estates in both NSW and Victoria. He has attended intensive courses in mediation to build his experience and his qualifications as a Mediator. 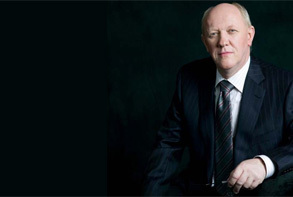 Terry Johansson has built up his professional reputation in the Wills and Estates area, and has sat on the Board of the prestigious Society for Trust and Estate Practitioners in London. If you and the Estate have agreed to a Mediation and both sides agree, Terry Johansson can act as the Mediator. After both sides have agreed to appoint Terry Johansson as the Mediator, and a time and place agreeable to all has been set, each side would sign a Mediation Agreement that sets out the main rules, and confirms that each side will pay Terry Johansson’s fees in advance, in equal shares. Terry Johansson would be neutral, and each side would then normally appoint their own lawyer to represent them at the Mediation, and to work with Terry Johansson. Sometimes the parties may decide not to appoint their own lawyers, and so each party would themselves prepare their own statement of their “side” of the dispute. The parties themselves would each state their own case at the Mediation, and work with Terry Johansson on reaching a solution. Terry Johansson would be a go-between, working with both sides to try to resolve the problem by reaching a solution that is acceptable to each side. He would not be acing as a lawyer for either side. Usually, once a solution is agreed upon, it is written up, and signed there on the spot. This way the dispute can be over when the Mediation finishes! By getting Terry Johansson to act as your Mediator, you know that he will use his experience and wisdom to try to get a solution to your problem, there and then, on the spot, and without legal proceedings.